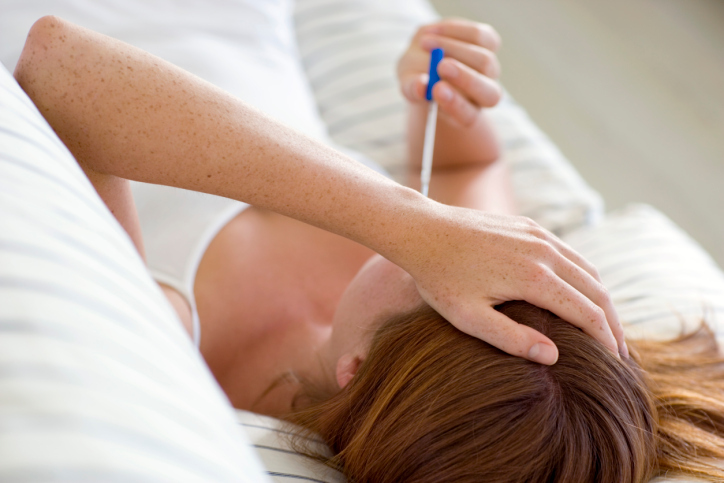 Having a fever means that your temperature has been raised by your body in an effort to fight an infection. A fever is basically a positive thing even though it means you’ll feel lousy temporarily. Having a fever is a sign that your body is fighting on your behalf. Having a higher temperature will stimulate certain vital processes aimed at protecting you. A higher body temperature also makes for a more hostile living environment if you happen to be an infectious organism. Because a fever is thought to have its roots in a positive healing attempt by the body, those in the natural healing profession feel that fevers should be aided and not necessarily supressed. The stages of a fever are as follows: the internal thermostat of the body is turned up, making you feel cold and shivery. As circulation is boosted, you may begin to feel more comfortable, despite the fact that your temperature is still high. If the infection still exists, you may begin to feel feverish and hot. Sweating helps to reduce your temperature. Body temperatures around 38 degrees C or 100 degrees F often give the best results when it comes to fighting an infection. With that in mind, here are six alternative remedies you could try the next time you come down with a fever. 1. To encourage sweating and help your fever to resolve whatever battle it’s waging, try taking a warm bath and include one of these four massage oils: chamomile, cypress, lavender, or tea tree oil. Add five drops of any of these oils to your bath water. To help cool down your body, try putting five drops of eucalyptus, lavender, or peppermint essential oil in a small bowl of water and sponge your upper back, neck, and chest. 2. When you first experience that shivery stage of fever, try drinking a tea made from fresh ginger root, ground ginger, and cinnamon. When your fever is making you feel hot and restless, help your body to sweat by taking a hot infusion of elderflower (pour boiling water over the herb). You can also make hot infusions using yarrow, peppermint, or white lime blossom. 3. To calm your system, which sometimes gets agitated when fighting a fever, try drinking hyssop tea. 4. Avoid active exercise while you have a fever. Get lots of rest and let a little “fresh air” into your room. If it’s excessively cold outside, you can air out your room while you are not there and then simply close the window again when you are ready to return for more rest. 5. Common homeopathic remedies for treating fever include aconite (good for dry, burning skin and agitation/restlessness), belladonna (good for high temperature and racing pulse) and eupatorium perfoliatum (good for fevers with accompanying chills, aching muscles and sweats). 6. Drink herbal teas, fruit juices, or water until the fever subsides. Avoid eating while your fever is high. If your fever causes delirium or even convulsions, you need to seek emergency medical care right away. “Fever,” MedlinePlus web site; http://www.nlm.nih.gov/medlineplus/ency/article/003090.htm, last accessed Jan. 5, 2014. “Fever Treatment: Quick Guide to Treating a Fever,” Mayo Clinic web site; http://www.mayoclinic.org/diseases-conditions/fever/in-depth/fever/ART-20050997, last accessed Jan. 5, 2014.